College is the absolute best time to start investing for your future. Heck, college itself is an investment in your future (just not such a financial one). College is when I started investing. College is when a lot of famous investors started investing. The bottom line is that investing for college students just makes sense. 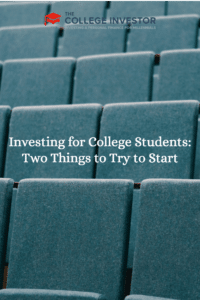 Let’s dive in and look at what investing for college students really means. 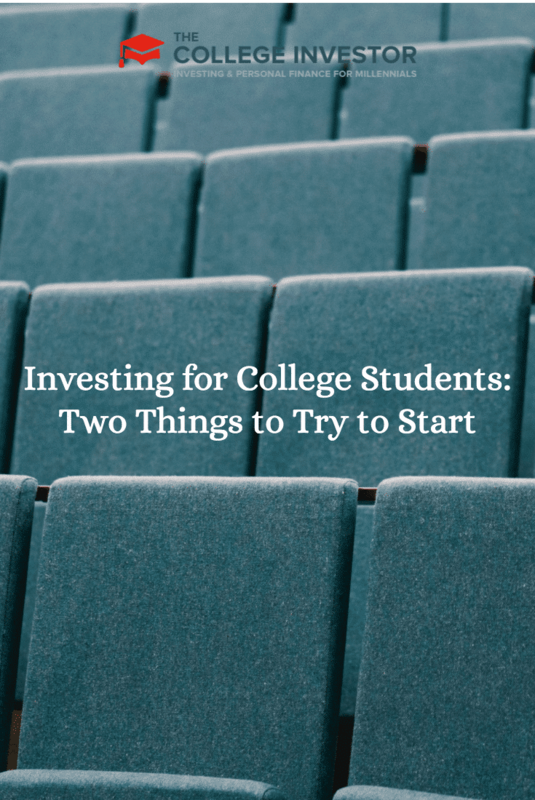 College is the best time to start investing for several reasons. First, if you’re in college, you’re typically young. That means you have a lot of time to invest — and time is your biggest ally when it comes to investing. You see, the power of compounding will work exponentially in your favor if you start investing in college. Let’s take a simple example and show why it make so much sense. Let’s say you start investing when you’re 20, and you just open an account with $1,000. In 25 years (when you’re 45), that original $1,000 will have grown to $5,179 at an 8% annual return rate. But what if you wait until you’re 30? If you shave off that 10 years, your original $1,000 will have only grown to $2,683 at that same 8%. That’s almost 50% less. That’s why you need to start early — and why college is a great time to start investing. Second, college is a time to find yourself and set yourself up for the future. On one hand, you’re doing this through your education and developing skills that you will likely apply later in life. But the same is true for investing. College is a time to learn — so learn how to invest! Plus, if you do make some mistakes early on, you have a lot of time to make it up! So, don’t be worried about investing, just jump in and learn. College students have some options on how to go about investing. If you’re a student that has a job (and earned income), then you can open a Roth IRA, which probably would make the most sense for a student worker. With a Roth IRA, you can’t touch the money until you retire, but it does grow tax-free, and when you want to use the money, you don’t pay any more taxes. However, if you’re a college student who doesn’t work, you have fewer options for getting started investing. For the most part, you’ll need to open just a standard brokerage account or retirement account. Just because you’re not investing in a retirement account doesn’t mean that you should open an account just anywhere. We recommend opening an account using one of the free investing apps we recommend. These accounts allow you to get started with $0 minimum, and offer commission-free investing. Finally, since you’re still young and in college, it’s important that you try things out and learn how to actually invest. Second, you should have some fun with it by investing in at least one individual stock for a company that you like. One of the most common investing tips is to invest in what you know. When you stick to companies that you know and understand, you’re typically more knowledgable about their performance than you might think. For example, if you’re thinking about a clothing store, by being a shopper you know how crowded the stores typically are, how stylish their clothes are, and more. Since this is a clothing company, these are typically factors that boost profitability, which would boost the stock price. However, on the flip side, you should avoid taking random advice from other college students. One of the reasons that drove me to start this website was that the investing club at my college was all about doing things I didn’t agree with: penny stocks, speculation, trading, and more. When you start to invest, make sure that you are forming your own opinions and doing things that you’re comfortable with. If you want more info, I put together this guide a while back: The College Student’s Guide to Investing in College. What would you encourage college students to try and to avoid when it comes to investing? Back in college I knew how to be frugal, but it wasn’t until I was past 30 and got married that I learned it wasn’t best to invest in just CDs and not plan for retirement. Sure wish I knew back then what my husband is teaching me now! I’m learning that being wise with finances is truly 2-sided: Saving money and using that money to work in your behalf. Thanks for the post! Thanks for stopping by Deb. It’s important that everyone make their money work for them, or else you will have to work harder for longer.